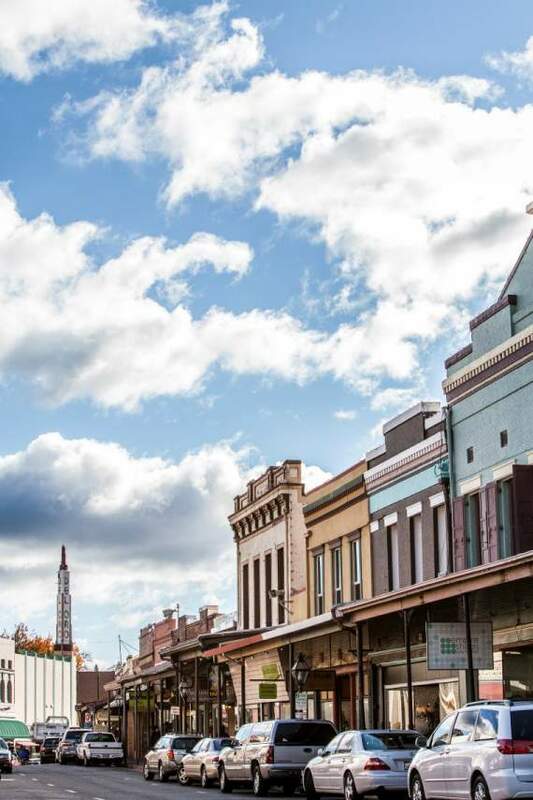 One of the original “boom towns” of the Old West, Grass Valley is where trekkers seeking wealth in the gold rush took a respite from their grueling travels. It is named for the flat green pasture that today is known as Grass Valley and is still serving as the green oasis for today’s city weary home hunters of California. A total of more than $25 million worth of gold ore was taken from the hills surrounding Grass Valley after 8 years of mining. It is that discovery that brought thousands over some of the roughest terrain through the Sierras to one of the first gold rush towns in America. Many didn’t make it over the famed Donner Pass, later named for the infamous Donner party tragedy. The ones who did make it through were in desperate need of water and grass for their cattle, mules, and horses. What they discovered on the other side of the pass was a lush oasis of grassy pastures and a creek. 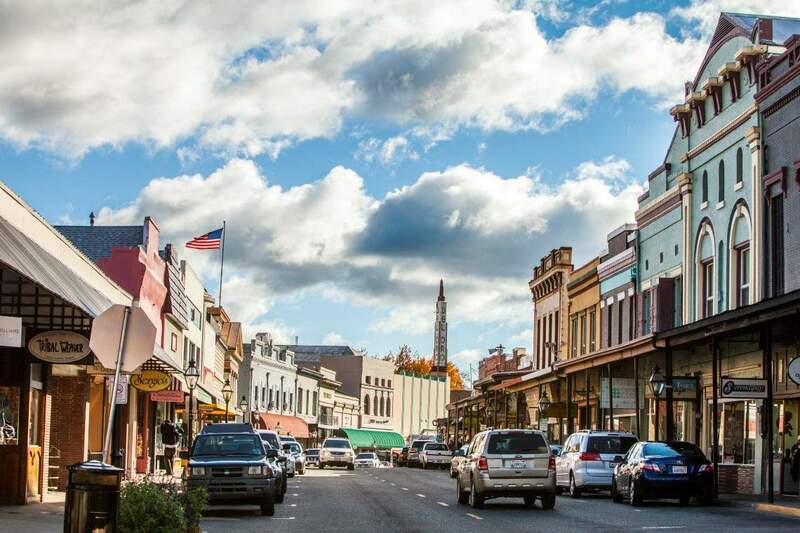 Though the old gold rush town was known by many different names, the one that stuck, Grass Valley, reflects just what a relief it was for those early settlers to reach. Once there and after making their claims, many who dug through the tons of quartz decided to settle right here in Grass Valley. The city went from a disparate array of shacks and cabins into a real live town. When the ore dried up, what was left behind was a dwindling population but a bonafide and proper old west town full of shops, eateries, and homesteaders. You cannot live in Grass Valley without knowing its early roots as one of the original California boomtowns. The signs and remnants of the old days still linger even today. 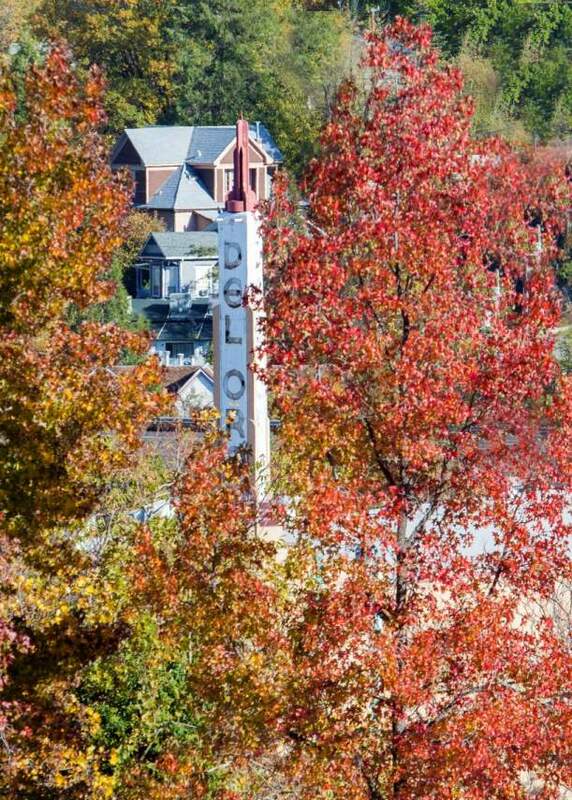 Yet while the yesteryear is celebrated and honored, Grass Valley is a modern day oasis. It is part of what is known as the “Little Silicon Valley” because of the many professionals who work in Silicon Valley but choose to live in Grass Valley. While Grass Valley is an important part of the history of the Old West, it is also home to innovators whose work continues to move the country faster into the future. The beauty that surrounds the area has been well preserved over the years. 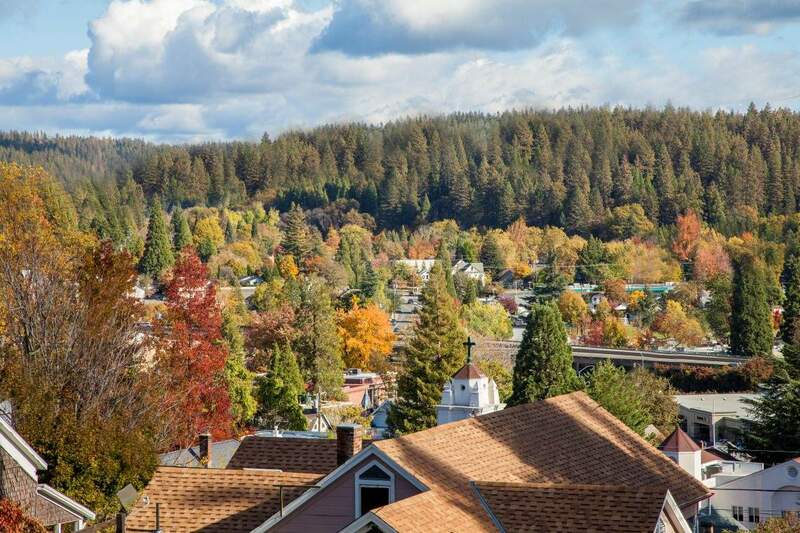 Situated at the base of the Sierra Nevada Mountains, residences in Grass Valley have amazing views from their homes of the giant cedar, pine, and fir trees. During the fall, it is almost like living in the Northeast with the fall foliage in vibrant array of colors covering the walking trails and neighborhoods. It is the perfect time to go horseback riding along the old windy trails, and the streams branching out from the American River make for awesome water rafting. There is no shortage of entertainment, fine dining, and first-rate golf courses. The cost of living in Grass Valley is nearly 35% higher than the U.S. overall but is about average for California. It has a population of nearly 13K and growing, and an average commute of 15 minutes; 10 minutes below the national average. When looking for real estate in Grass Valley the prices can hang around $2.5 million on the high end. 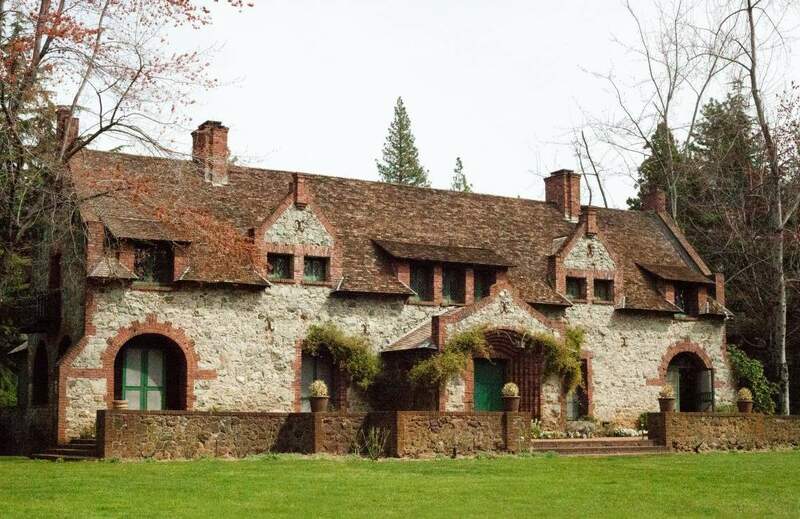 On average, homes in Grass Valley are priced at about $270K. However, keep in mind that you’ll be living in one of the most unique parts of Northern California. The sidewalks still maintain their broad promenade style of old where walking in downtown Grass Valley feels like walking through an old classic western town from the movies. 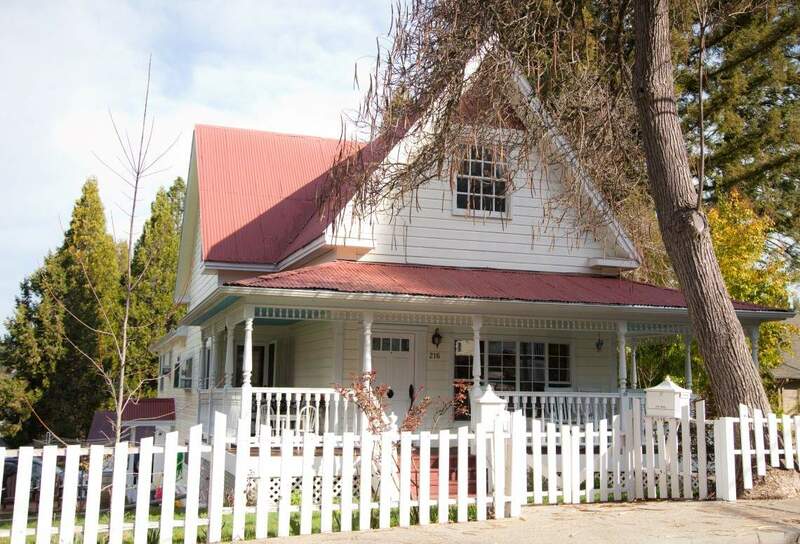 The homes reflect the early European settlers who established Grass Valley with their Victorian elegance. Homes in the $300K to $400K range can have up to 2K square feet of space and offer three and four bedrooms with two to three baths. For $1.5 to $2.7 million, you can expect to find spacious floor plans of upwards of 7K square feet plus four to six bedrooms. It is hard to escape the rich history that created Grass Valley and why would you want to? It is still that green oasis between the mountains and the desert. Many risked their lives on their journey to Grass Valley. Those who made it found it to be all that they hoped for. Your claim is waiting for you. 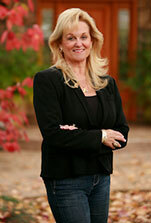 If you are relocating to the area, contact Kathy Papola to stake your claim in Grass Valley.